Home › News › 👅A Taste of Summer 🌞👙Sending the warm weather fruits to you! 👅A Taste of Summer 🌞👙Sending the warm weather fruits to you! Hey! It's May! The weather is heating up here, and summer is just around the corner. 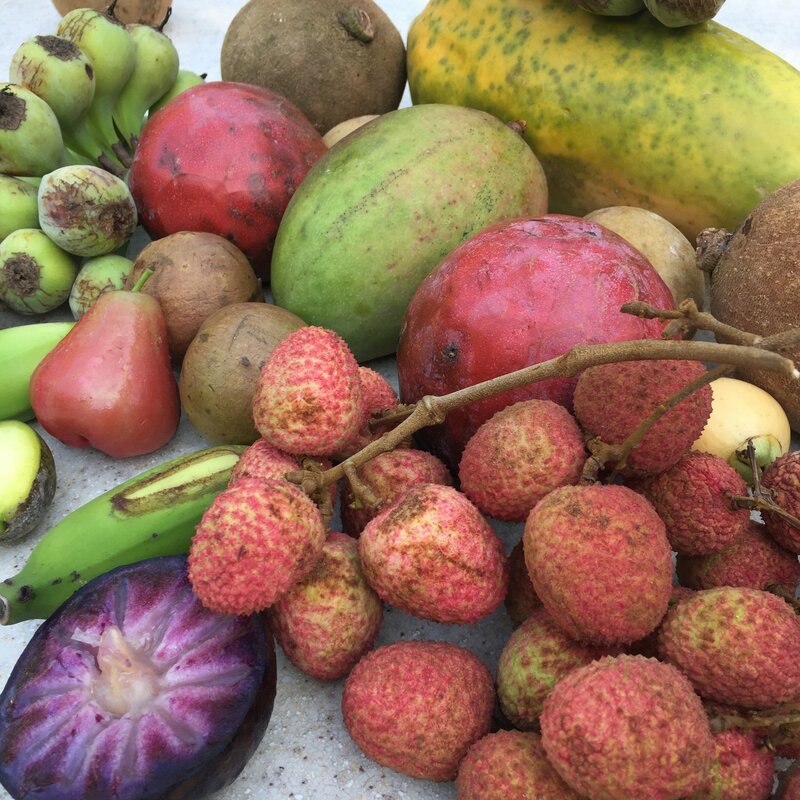 Our summer fruits are coming in now like lychee, jackfruit, and mango. Pineapple is coming soon as well! This is a friendly reminder to get your order and/or pre-order in soon because we will be stopping the shipment of fresh fruits in July and most likely won't be resuming except for overnight shipping orders until September. 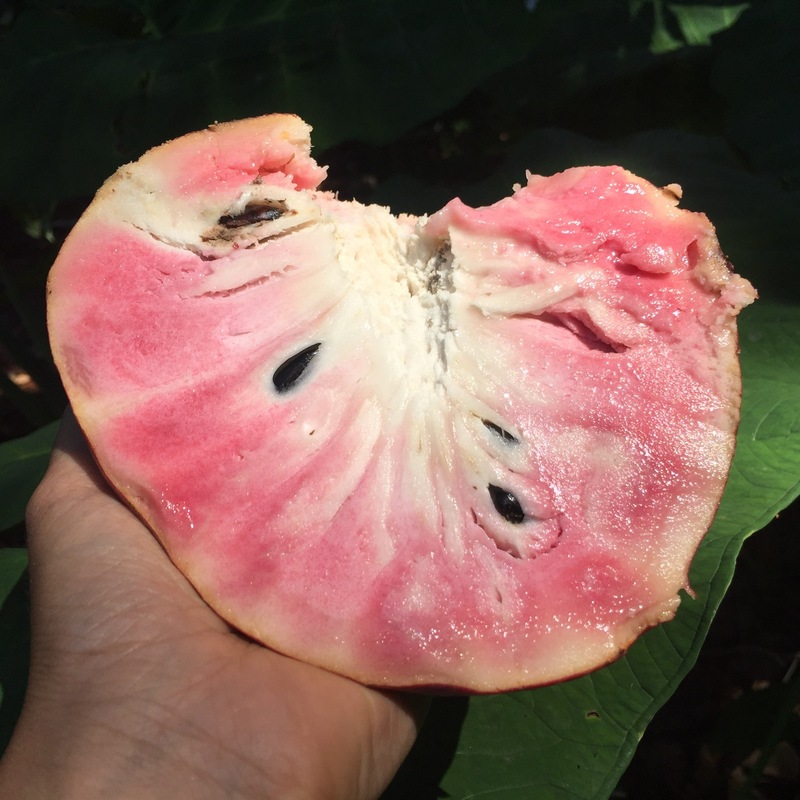 We had our biggest custard apple harvest last Monday. We are expecting to have one last smaller harvest next week before they go out of season. We have it available as pre-order because the trees produce very limited quanties that are perfect enough to ship. If you pre-order this fruit, you are securing your spot in line. 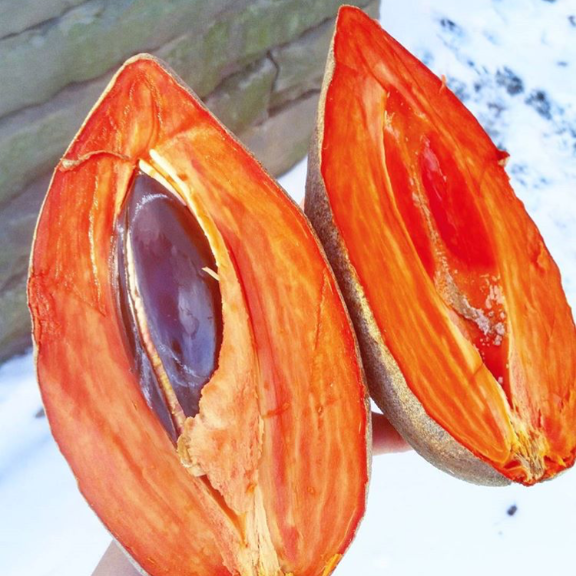 This is a customer picture of a very vibrant MiamiFruit mamey. Don't forget about the 10% discount code: MAYOFMAMEY all month long. 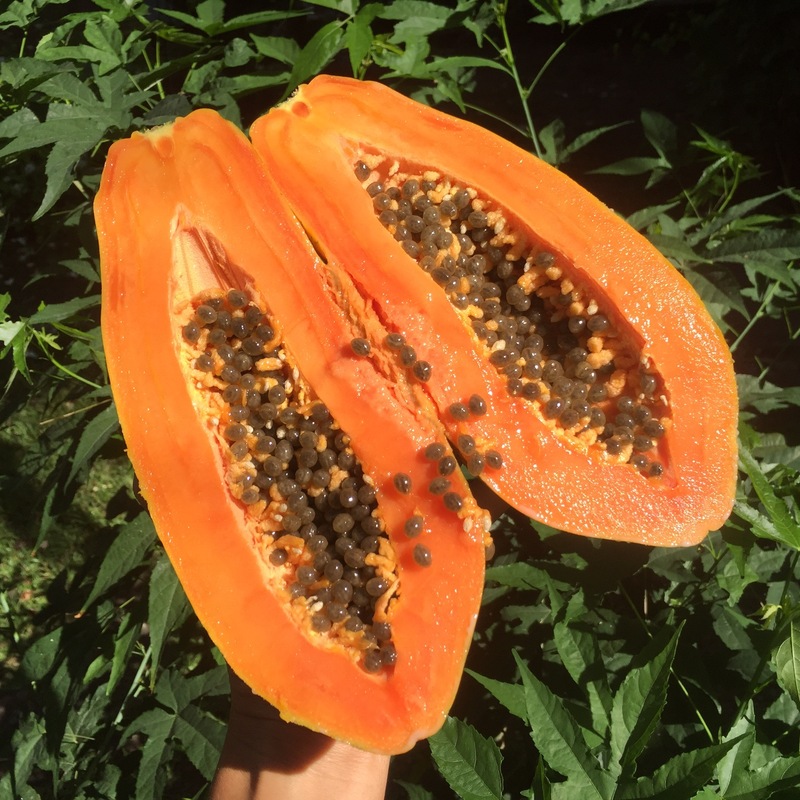 Sweet Caribbean Papaya is still available. This fruit is high in demand right now because it's so sweet and delicious. I still crave it every day. As the weather warms up, the block parties begin. 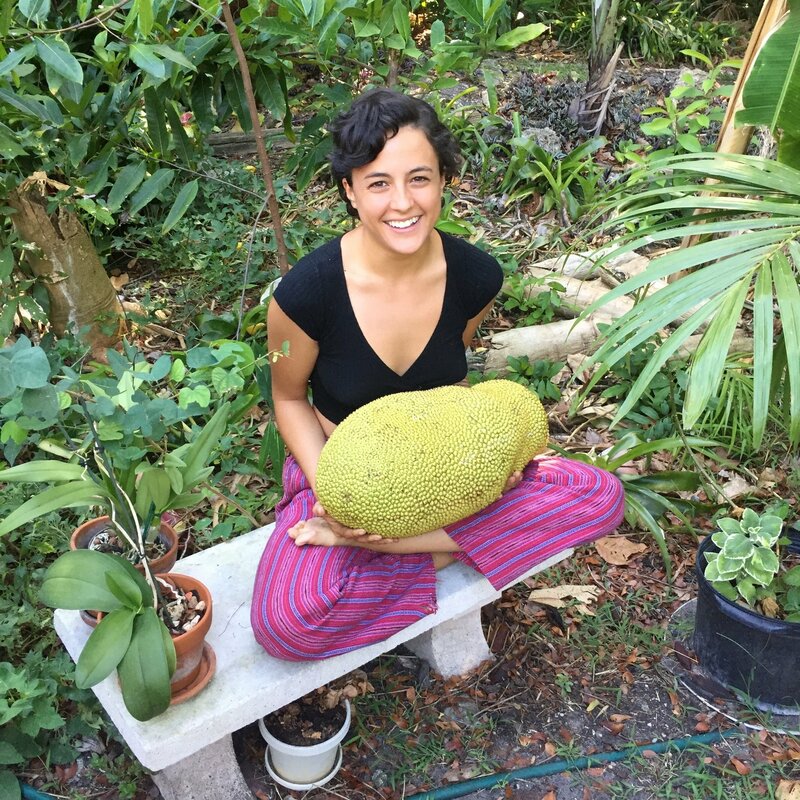 We can't think of a better centerpiece to a vegan potluck than a big juicy jackfruit from Miami. 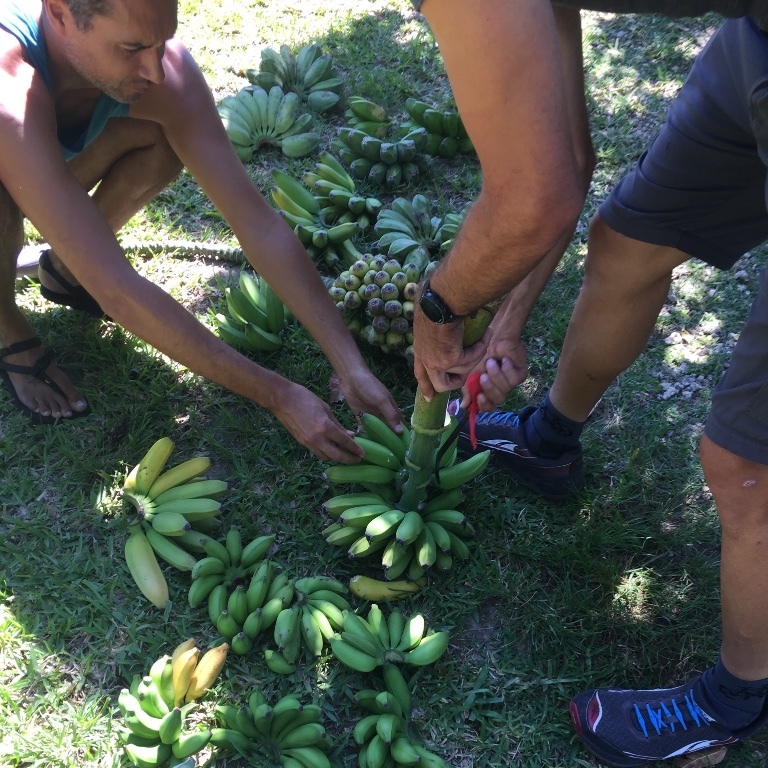 Teamwork makes the bananas get to you! Every Monday we go out and check all the banana plants for any yellow ones on the rack. If we see yellow, we chop it down. Next, each hand is cut from the rack. The next day we carefully put an assortment of bananas inside boxes to be sent out all over the country! 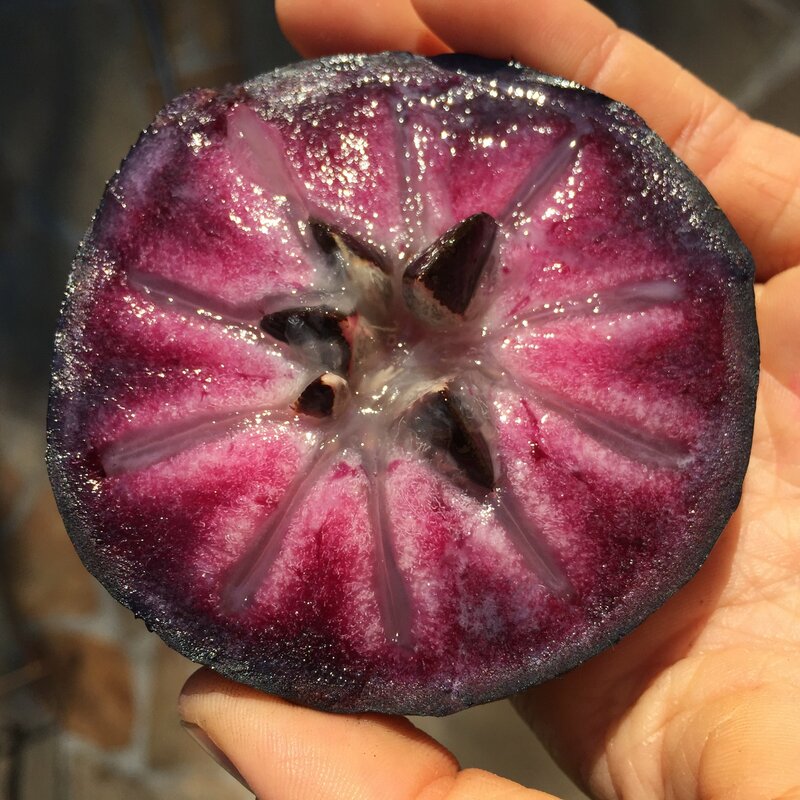 Star Apple is still in season! We should have it until the end of May. 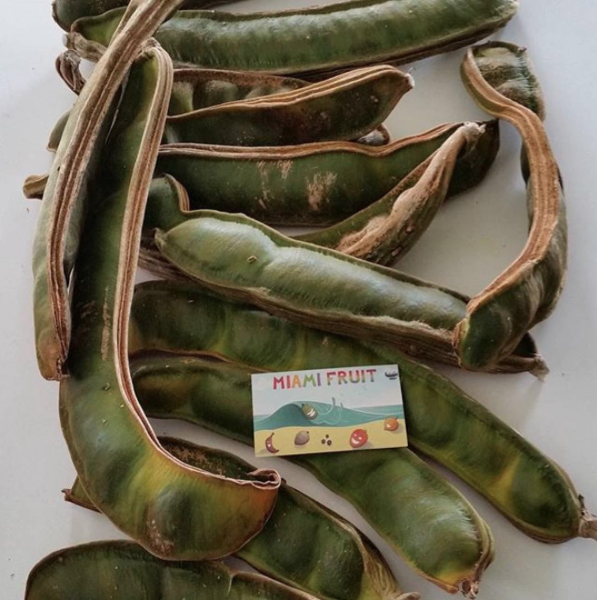 This is a picture from the first person to order ice cream bean, very limited availability on this rare fruit. 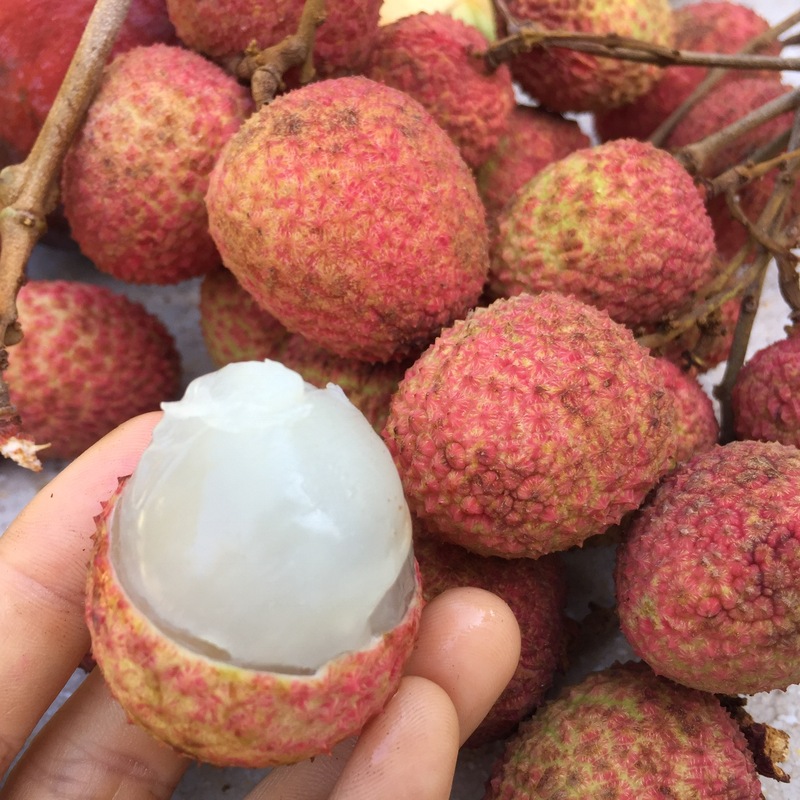 Beautiful lychees from last week's harvest. 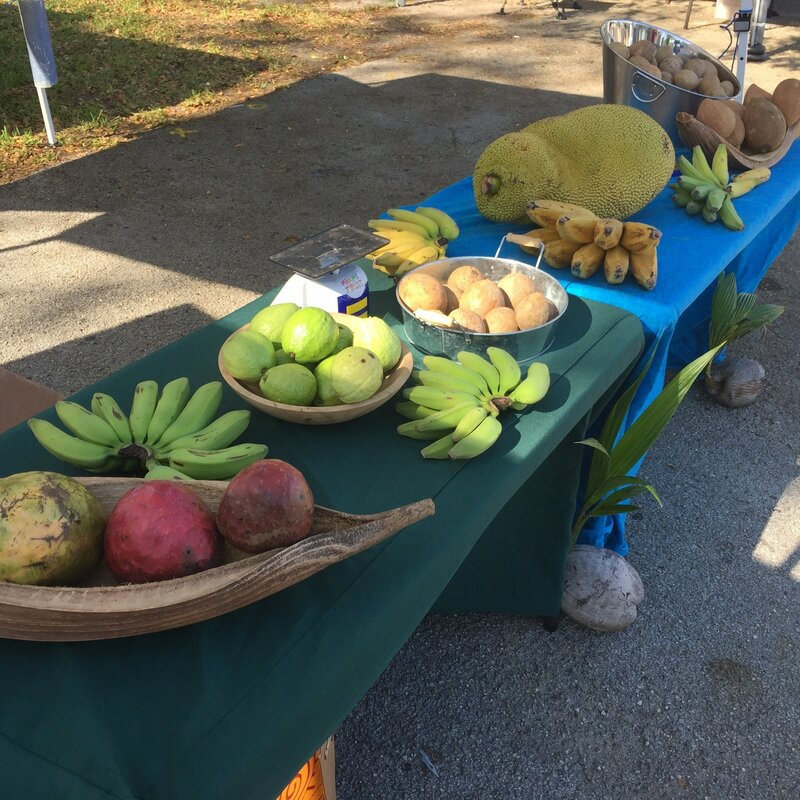 If you are a local, please come to the Southwest Community Farmer's Market! Sal and Jessica sell MiamiFruit there. Rane and Edelle manage the market. It's a great way to spend the Saturday with the family, and you might find some really good stuff there like all fruit popsicles!